Larch cladding produced by us for a local building built by Chris Jenkins of Abergavenny. 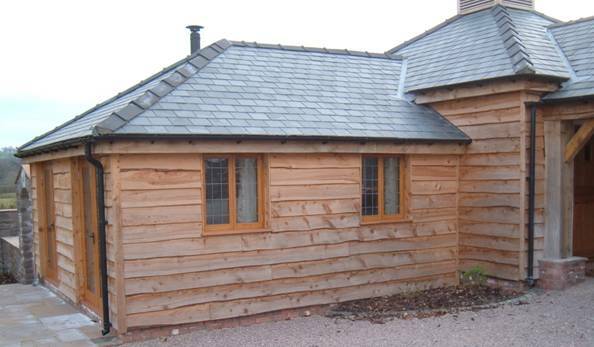 We produce a small range of cladding suitable for houses, outbuildings, workshops, stables, barns etc. All our cladding is produced from untreated naturally durable timbers from local forests. The environmental impact therefore of using our cladding is very low and it is increasingly popular for small and large projects where a natural sustainable cladding is desired. Waney-edge larch – 19mm thick by widths varying between 230mm and 300mm - £12 per square metre. Allow approximately 25% extra for the overlap.  Our most popular cladding product as it is economical and very attractive. Unlike some waney-edge cladding we are quite realistic about the specifications. Some mills allow the cladding to vary from 150mm to 350mm wide, but this makes it much more wasteful and difficult to fit, so we specify a much tighter tolerance of 230mm to 300mm wide which makes fitting much easier and reduces waste. Boards are often held in stock but not always so you may want to ring or email before traveling to us. Boards will usually be 3 metre or 3.7 metre lengths. 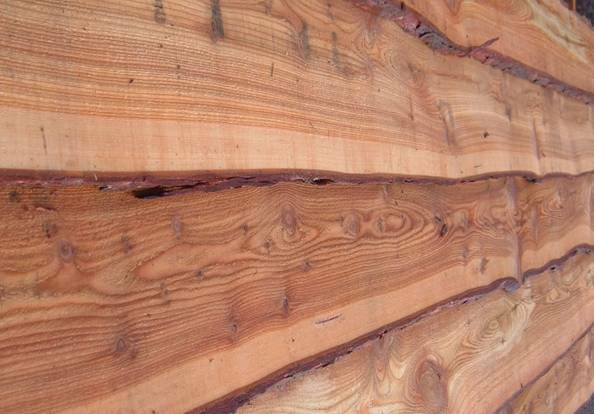 Thin/narrow waney-edge Larch – 16mm thick by widths varying between 150mm and 250mm - £10 per square metre. A thinner and narrower board ideal for smaller projects such as chicken coups or small sheds. Again boards are usually 3 metre or 3.7 metre long. Not routinely stocked but can be cut within a week usually. How long will it last? Larch is a naturally durable timber so even without treatment will last 20 to 25 years as cladding. Does it need any form of preservative treatment? No. How will it change with weathering? All untreated timber cladding will weather to an attractive silver over a year or so taking on a very natural appearance. If you prefer it can be treated but unless you choose a very dark treatment the wood will still go grey over time. Will it shrink and expand with rain and sun? All timber will react to moisture when fitted – unseasoned timber ideally needs to be fitted with just one fixing across the width of the board (or a second fixing in the middle) and a sufficient overlap to allow for at least a few millimetres shrinkage. All cladding we sell is unseasoned as this gives the best result and is also most economical. We are always happy to give fixing advice so please ask if you are unsure. How much should I allow for the overlap? The prices above are for the timber without an overlap so when ordering you will need to allow an extra 20% – 25%. Should I allow extra for offcuts and wastage? Yes but it is difficult for us to advise how much, as this depends on exactly how many boards need to be cut shorter and the presence of windows doors etc in the building being clad. What you have to remember is each time a board is cut to length if the offcut is not going to be used this will be waste, so it is all about minimising your offcuts, which is easier on some projects than others. Can you deliver? Yes within about one and a half hours of Newport, South Wales, but we will charge for this. For example delivery to the North or West of Bristol will usually cost £50. Delivery to Cardiff will usually cost £25.